Just back from a game and a visit to Whitmore Primary School in Hackney with the Parliamentary Football team. We are sponsored by National Grid, and their volunteering charity is City Year. City Year is the leading youth and education charity in London. They are the only coordinated opportunity for full time volunteering within English schools. No other movement for social change offers young people the chance to volunteer full time for a whole year in inner city schools. 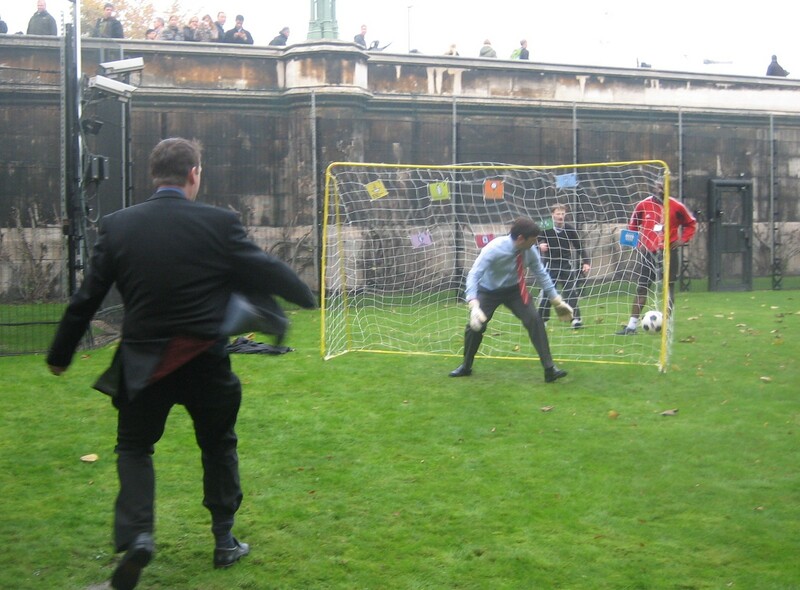 Following the visit, we played the "Red Jackets", City Year's 5 a side team. They won 2-1, and deserved to. However, there was one moment of magic when your author, ahem, slammed in a free kick from the edge of the box, Kolorov style. More messy than Messi.